The WORCESTER PARK Blog :: Night Bus To Croydon? Local London Assembly representative Steve O'Connell is looking into the old N213 bus route and whether it might be brought back and would like to know the thoughts of people in Worcester Park. 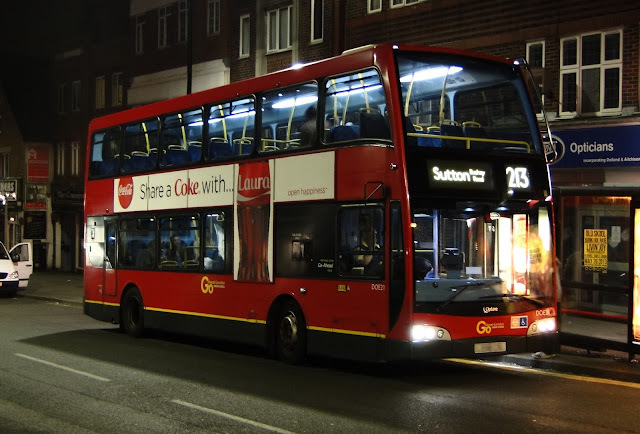 People may remember being able to get all the way to (or from) Croydon at night on the N213 from Worcester Park instead of the route finishing at Sutton as it does now. The section from Sutton to Croydon was cancelled by TfL in July 2009 because apparently the route was only used “lightly” but there has been a steady campaign ever since to see it reinstated.